As a certified CEREC® dentist, Dr. Zaveri provides patients the ultimate in digital dentistry technology. With highly effective restorative treatments, you can have your tooth fillings, crowns, onlay and inlays, and even implants in just one appointment! 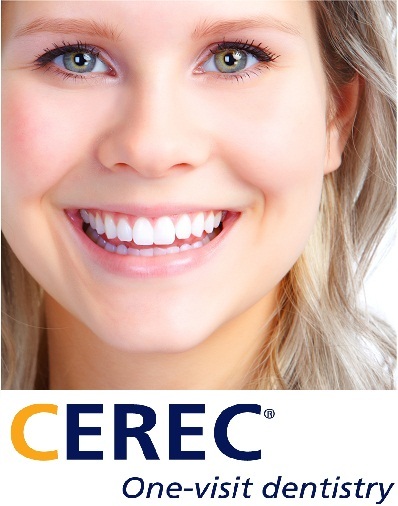 CEREC® stands for Chairside Economical Restoration of Esthetic Ceramics. It is a dental restoration technology use computers which includes 3D technology and CAD/CAM technology. CEREC® dentist in Upland CA, Dr. Zaveri is one of the trusted experts of this type of technology. Also, with CEREC® technology, your teeth can be restored in the same day with quality dental services. This is a time-saving technology which allows you not to visit your dentist multiple times for certain dental procedures like teeth implants. Just imagine having on the same day implants that usually require multiple visits. With CEREC technology you can have new teeth in one day! This was needed with earlier types of technology in the dental industry. But now with CEREC technology this is a totally new improvement in dentistry. Now you can have your dental implants, same day dental crowns, same day porcelain veneers, inlays or onlays completed on the same day you came into the office.